Beyond the services delivered by Decatur Christian Towers staff team, there is an amazing group of volunteers that serve the community. We Are Neighbors Helping Neighbors (WANHN) is a group of residents committed to extending services to meet compelling needs since 2014. 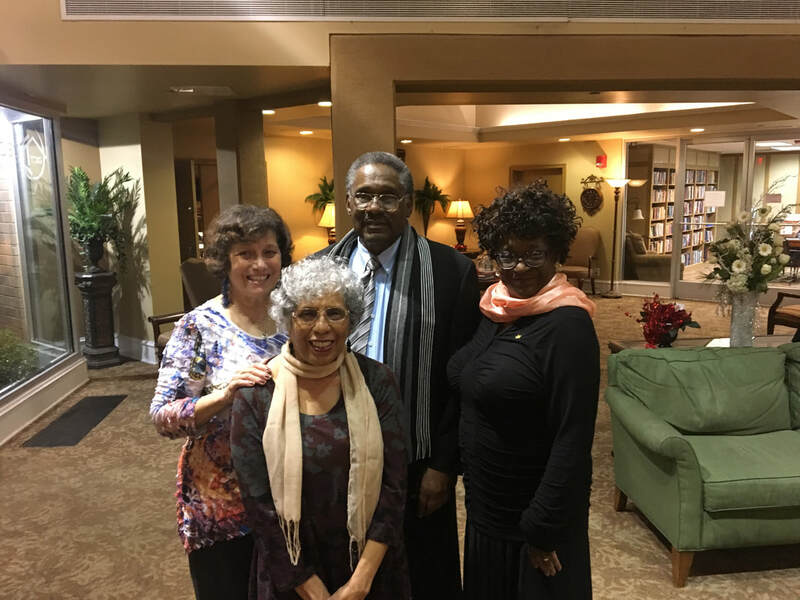 Responding to needs outside the scope of Staff Services, this group formed a mission to accompany residents in their efforts to address personal issues with respect, dignity, efficiency and confidentiality. During the 2017 year, WANHN identified a frequent and significant problem. Carts available to residents for moving furniture into their apartments were inappropriate for residents emptying groceries from their car. The collapsible fabric wagon was an emerging product they pursued for an experiment. 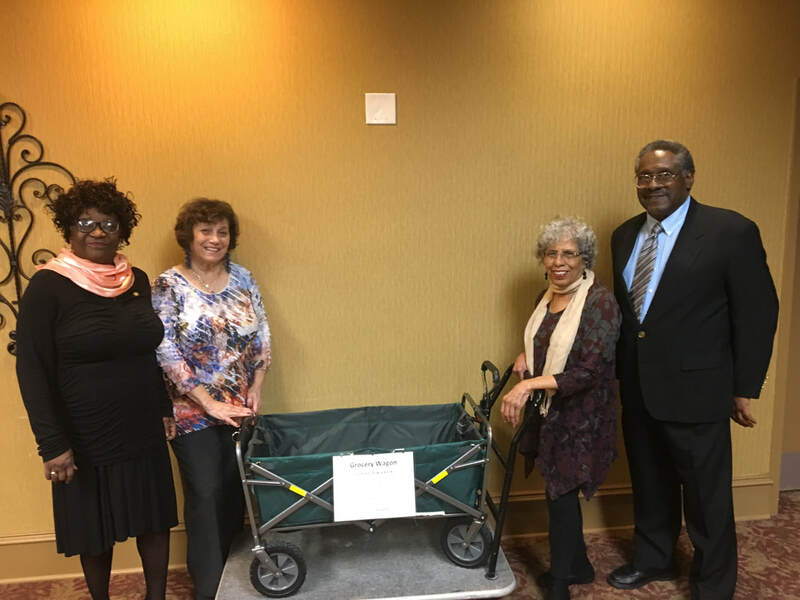 Sharing their vision with Dove Dental, a local business connection, they received sponsorship for 2 of these wagons. 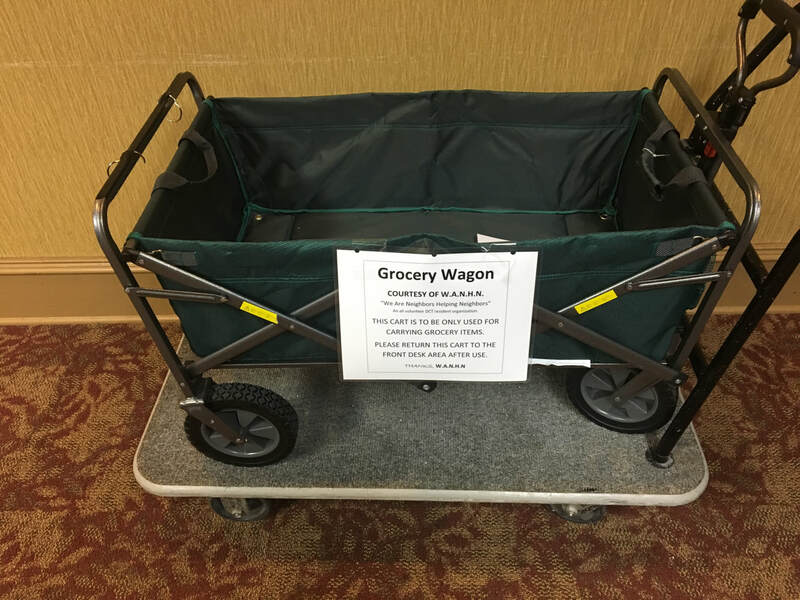 Introducing the wagons in coordination with the staff team and resident feedback has brought a senior friendly option to residents as they unload groceries in parking areas. The committee that leads this group has many pursuits to address resident needs. Asked what is next, they are quick to respond with a vision to facilitate the purchase of wagons for inquiring residents. Their popularity and appropriateness makes them ideal for many other activities of our residents, yet their overall cost at about $75 is expensive for residents. While the dynamic of checking them out and using them for short periods has been the mode of operation for the last year, many would prefer to own this collapsible, portable tool stored in their apartment and in their car. Fred Hinton, WANHN president, explains that integrating a subsidy could lower the resident contribution to one half of the wagons’ cost. WANHN is prepared to come alongside residents to lead the logistics of ordering and delivering units to residents. This approach to building our community by strengthening our connections bring a positive vibe to residents and staff alike. As we move through a time of interruption, this desire to give a hand ripples out to impact us all.